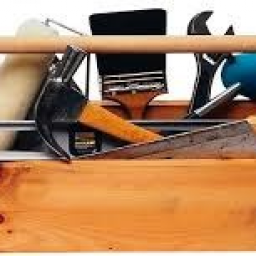 I'm a hard working handyman and I can help with general home carpentry, painting, flat pack furniture assembly and landscaping/outside tasks. Feel free to contact me to discuss your task. This is my full time job so reputation is important and I always strive to get the best possible outcome for my clients. I'm a problem solver by nature and will come up with solutions that satisfy your expectations. I'm not really a "quick-fix" "cheap job" kinda guy so if I make an offer on your task it's because I know I can get a quality outcome which means you'll be happy with the result. I have many repeat customers. Shannon R. said “Shawn was professional, helpful and prompt. I will absolutely use his services again for anything I may need around the house/office. Susan D. said “Shawn was fantastic building our fence. Professional, reliable and knew his stuff. He even suggested some things we hadn’t thought of. Wayne W. said “Site supervisor repot on Shawn's work was first class, he was very productive , neat and tidy with the finished product. Naomi M. said “Shawn is great... very friendly and very keen to do a good job. Repostition lock on front door. Cathy C. said “Shawn is a can do kind of guy, he fixed my pool fence like a pro. He was on time, kept me updated and even liked my coffee. I would recommend him for any handyman jobs and will use hm again. Kathy A. said “Shawn was amazing. He was on time and did the work really quickly and had all the right tools. I would definitely use Shawn again. Mark P. said “Efficient, promt and excellent communication. Luke R. said “Shawn was great. He met with my partner and was really friendly and got the job done quickly and cleanly. He communicated well and was flexible fitting us in with his schedule. Would recommend using him to anyone I know I would again if some came up. Aria A. said “Prompt, friendly, conscientious and efficient. Terry H. said “5 star service without the price tag. Shawn is an honest down to earth bloke who I would readily recommend. Communication from the beginning was great, arrived on time with the correct equipment and completed the job quickly with a great finish. Sonja E. said “Shawn did an excellent job reassembling our heavy king size bed frame, which had previously been damaged when taken apart. He was clearly knowledgeable about working with wood and managed to fit it together perfectly (despite warped and splintered slats). He also assembled an large IKEA bookcase quickly and with ease (and not one swear word, unlike myself!). Shawn left things clean and tidy and even took away packaging to be recycled. He is a very friendly guy and I felt relaxed having him in my home. I would definitely recommend him.